He creates different kinds of objects using only cardboard as base. He’s done CCTV cameras, a crow, a fireplace, a huge tree, and even chainsaws. Some of them have even found home on the streets. 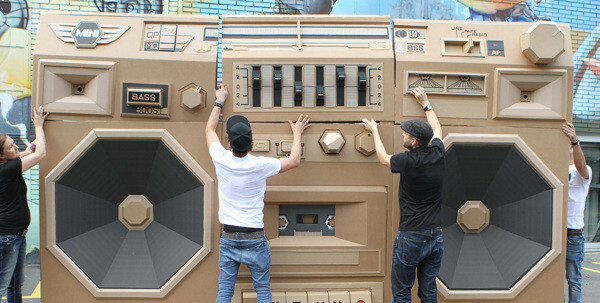 Just look at the giant Ghettoblaster he made for the International Radio Festival 2012 in Zurich. Most of his cardboard sculptures are life size as you can see on the pictures below. More of his creative artworks on his website. You can also check his Behance and Facebook for more updates. Were you inspired by Bartek Elsner’s cardboard sculptures? Let us know through the comments box below.